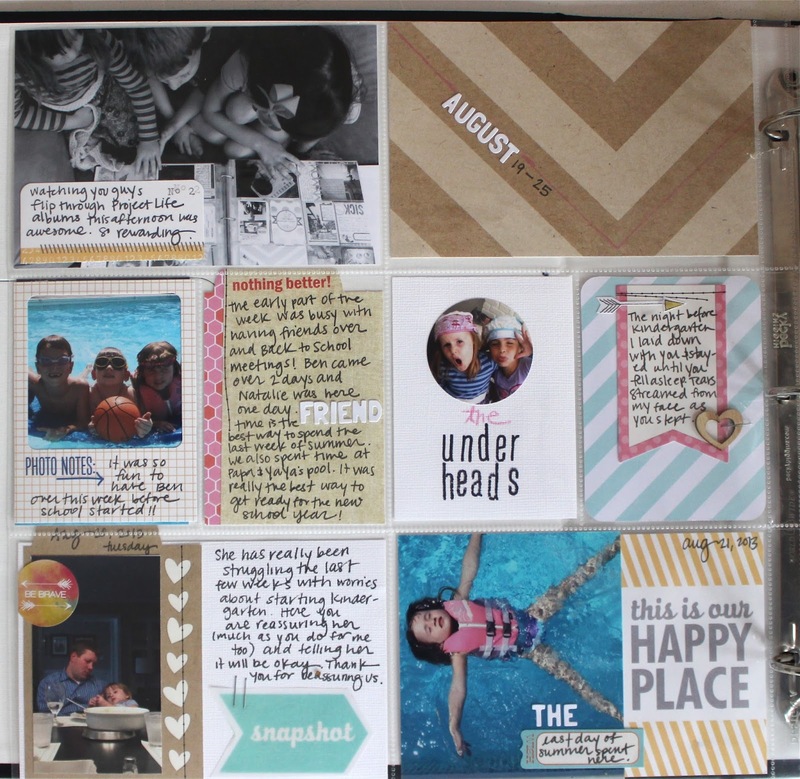 This week's Project Life covers the week of August 19-25. This is the first week documented in my third album for this year-- it's back to school week! I used a variety of Elle's Studio products-- various pieces from our Monthly Kits (which are beyond perfect for Project Life), and many items from our new Penelope collection. Since it was such a big week, I included an insert. The front part is about my daughter's first day of kindergarten, and the back side is about my son's first day of first grade. It was also a big week for us because my family hosted a huge party which we do every year at the end of August. There was a magic show, horses, swimming, bounces houses....and a photo booth of course!